SINCE I SEEM TO BE HAVING ISSUES with the interview I posted on the 15th, I have deleted it. My apologies. BUT, you may still see it by going to my FB business page–in Notes at this link. There is a winner to announce! My interview with Sharon Ledwith included a raffle of her two eBooks: The Legend of the Timekeepers and The Last Timekeepers and the Arch of Atlantis. The winner is Jennifer Loiske. Congratulations, Jennifer. Sharon will be contacting you soon with your coupons for the eBooks. IT’S ON…AND REALLY HOPPING! 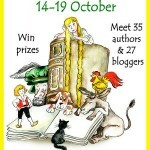 The Blog Hop started this morning at Inspiring Teens Blog Hop and will be ongoing through Saturday, 19 October. There are a ton of YA book authors to learn about, new books to discover and bloggers that are strutting their guest authors stuff. There are giveaways at each blog, plus at the ‘home’ site of Inspiring Teens Blog Hop. Make sure you check it out. Come by Tuesday to check out her interview! Tomorrow, I will be hosting Sharon Ledwith with an interview and a chance to win copies of her books (they really are terrific!) 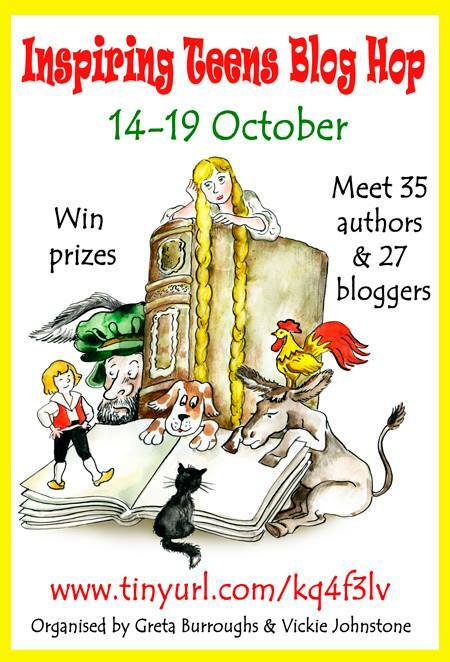 and on Saturday, Robbie Cox will be hosting me as an author–and a chance to win copies of my eBook and paperback, plus a cover for a Kindle eReader! Go to Inspiring Teens Blog Hop for further details for links and a contest for a $10 Amazon gift certificate!